Recycled clothing never looked so good, and you will too. 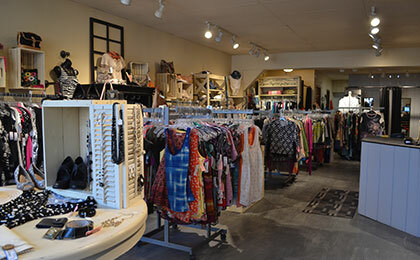 Find brand name recycled clothing for women and children, carefully selected and fashionably displayed in downtown Elora. The Crooked Door is an established source for consignment fashions, with affordable prices and on-trend through the seasons. Village Kids offers a unique selection of ethical products, such as baby gifts, accessories and imaginative toys for all ages. The boutique offers high quality, brand name clothing for children at a fraction of retail prices.